Eleni Lykogianni is an Analyst at the Investment Management department of Trastor. She is responsible in identifying and evaluating potential investments based on the investment criteria of the Company. 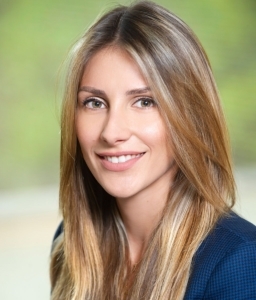 Before joining Trastor, Eleni worked for Ernst & Young (“EY”) Greece in the field of valuation and business modeling specializing in Real Estate and the Hospitality sector, providing advisory services regarding business valuations, M&A, feasibility studies, and valuation reviews for property portfolios owned by private and public entities. Before her tenure in EY, she was working as a civil engineer for 4 years being responsible for the management and proper implementation – according to the planning and regulatory framework – of a diverse range of commercial and residential projects, as well as for the purchase and sale of real estate properties. Eleni holds a Master degree in Business Administration (International MBA) from the Athens University of Economics & Business and a Diploma in Civil Engineering from the Aristotle University of Thessaloniki.